Keto Baked New York Cheesecake, Not a lot of words for this one….because my mouth is full of cheesecake! I will say it is good, real good. I couldn’t even tell you how many times I have made it, and for me that is the ultimate compliment to any recipe as my time is limited. Due to the sheer volume of recipes I am always testing there is very little room for repeat meals of already successful recipes. This delicious recipe is the exception to the rule. Actually when I first made it, I tasted the unbaked batter and knew that I had to do a raw unbaked version as well, which I did straight after I popped this one into the oven. Over the past 12 months since I first published this recipe, I have seen many versions of it and many comments on social media about how much everyone, keto or not, have loved this recipe. This week I saw the below stunning picture by Karen Waalkens Mannisto‎ who has made this version for a party today(I think). It looks so beautiful! Thanks Karen for allowing me to share it here. I think my mum thought I needed the packet stuff to be able to cook, so I would take this packet cheesecake, add extra cream, fresh strawberries to half layer it and finish it off with more whipped cream. With the exception of all the sugar and carbs I was kind of on the right track right? Haha! When I think back to my cooking roots I do have a little laugh knowing that I have always been trying to dial up flavours since the very beginning. Another funny thing is that I never really ate the cakes, cheesecakes or meals that I made, I just loved to cook or bake and hear from everyone how much they loved the food I made. 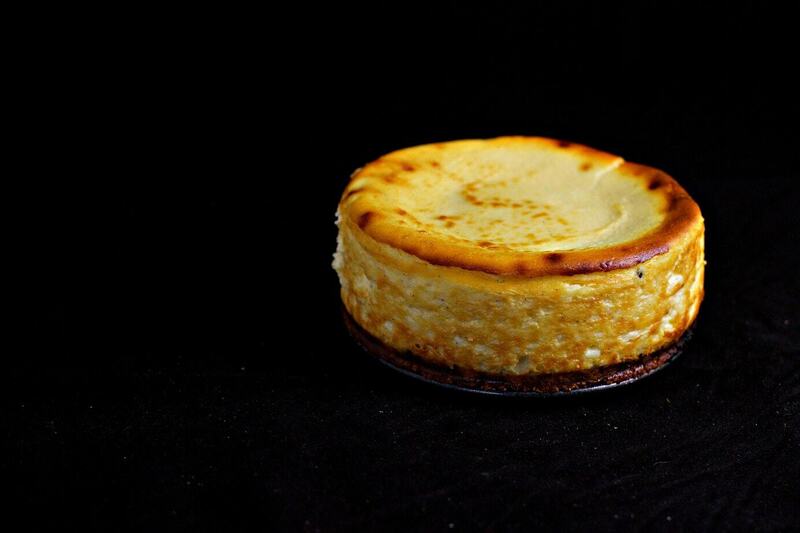 I hope you love this cheesecake, I really do think it is one of the tastiest cheesecakes there is. Funny story is when I first released this recipe it actually totally crashed the internet…for me at least! With over 5000 views in half an hour on my little website I ended up losing 6 months of work. Don’t ask about back ups or host providers, let’s just say that everyone screwed up and I needed to rekey everything back in. Funny story or not? I guess I choose NOT! The life of the blogger is definitely a glamorous easy one. Especially a food blogger who spends so much time creating and testing recipes, shooting and editing thousands of photographs, and then getting it all onto the site with blog posts, tags, and a host of so many other things you never see. Personally I never knew I would have as much to do as I do, and still have so much more to learn. My website crashing most popular recipe to date! This recipe is for 1 small spring form tin. It is far from an individual serve as it contains 250 gm of cream cheese. 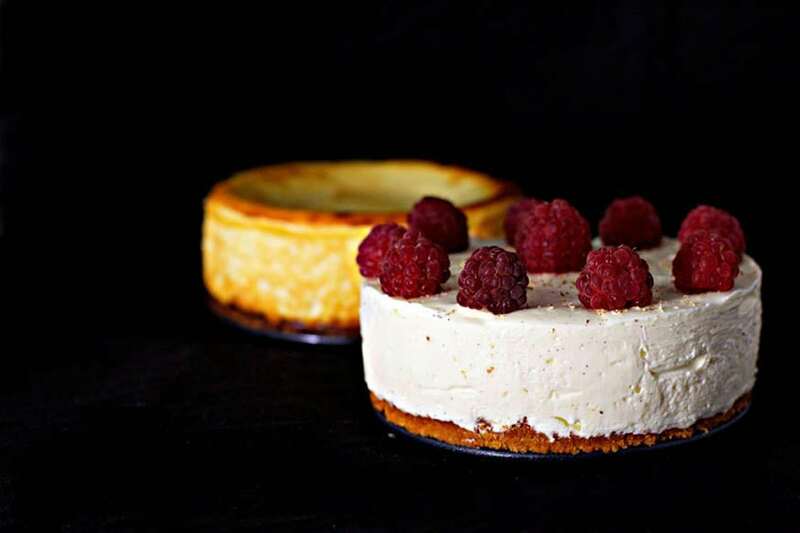 If you wish to make a full size cheesecake please double or triple the recipe. For cooking time, keep oven low and cook for approximately 20-30 minutes, cool in oven with door open. 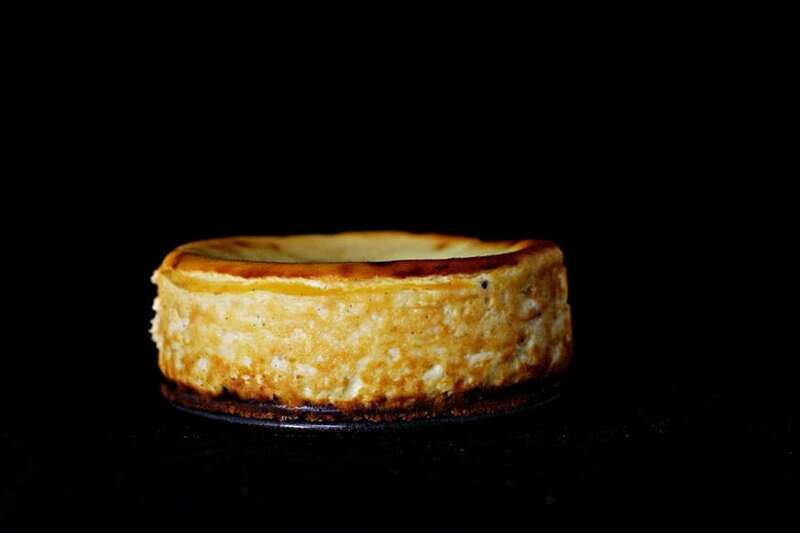 Cook in oven for 15 minutes, the cheesecake will be slightly wobbly, and golden on top. You can freeze this in individual slices and eat only when needed, lol. I learnt how to make this at one of Megan’s cooking classes and it was so delicious and easy that it has become my go to sweet treat that all the family loves!